The primary purpose and goal of the society is to praise and honor the Blessed Mother, to secure her patronage by recitation of the Rosary and for the mutual spiritual benefit of all members throughout the world. Entrusted with the care of the altar, our duty is to provide and maintain a suitable dwelling place for Our Lord Jesus Christ. The Rosary Society is both spiritual and social and acts as a fund raiser, assisting at parish events. We meet monthly, the second Saturday of every month from August through June in the Pastoral Center. All ladies of the parish are encouraged to join. We are always in search of new members. If you are interested in joining our ranks, contact Robin. Some of the duties of our members are: the recitation of the Rosary at the beginning of the monthly meeting, Recitation of a decade of the Rosary at the wake of a deceased Rosarian, her spouse or child, cleaning and care of the altar on a weekly basis and fund raising activities for the benefit of the church. Contact: Robin Casey - (505) 898-5253, Ext 4 and leave a message. 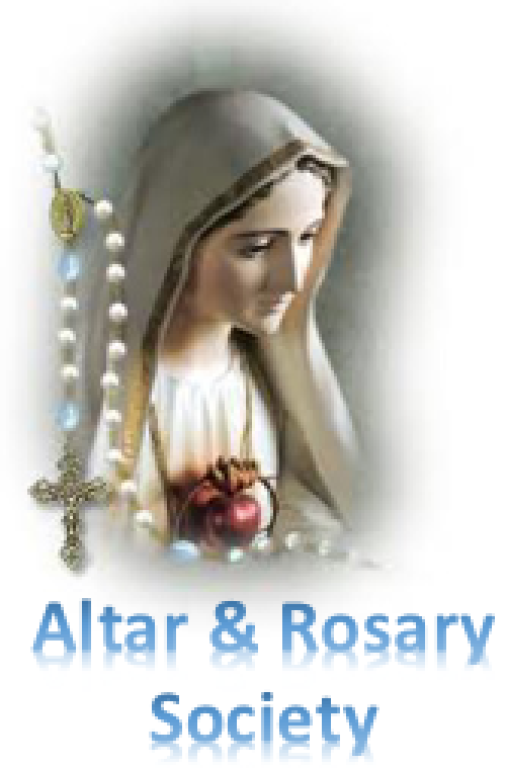 Ladies that wish to attend an Altar & Rosary meeting or join the Altar & Rosary Society are welcome to come. We meet on the second Saturday of every month except for June and July. If you have questions, please call Sadie at 898-1838.